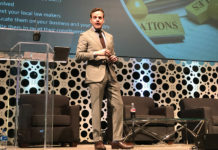 An interview with Jacopo D’Alessandris, president of E-Alternative Solutions (EAS), which is owned by Swisher International and manufactures the Leap and Cue vapor brands. 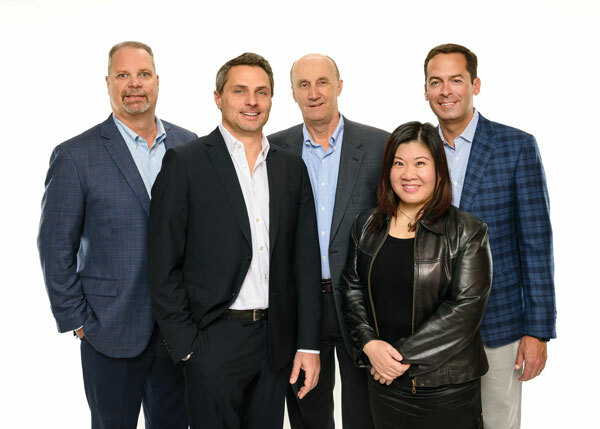 Tobacco Business: What are your company’s plans for 2019? Jacopo D’Alessandris: Our product portfolio now covers all major consumer needs when it comes to vapor product alternatives: sub-ohm closed systems via Cue Vapor, and nicotine salts rechargeable and disposable products with Leap and Leap Go. In 2019, EAS is focusing on aggressive distribution expansion for these two franchises. Our marketing will focus on supporting our retail partners, driving shoppers through their doors and helping them better manage their e-vapor category. EAS’s motto is “retailers first,” supporting and working in close partnership with traditional tobacco retailers. While some companies have decided to take an alternative route in light of the regulatory uncertainty, EAS is doubling its investment in our trade partners. What category trends have you observed that will impact the market over the course of the year? Responsible vaping should be and is driving the market. This encompasses both preventing youth access to these products—an absolute priority for all manufacturers and retailers—and allowing adult consumers to decide how much, if any, nicotine they want to vape. These will be the two drivers of differentiation, in my opinion. 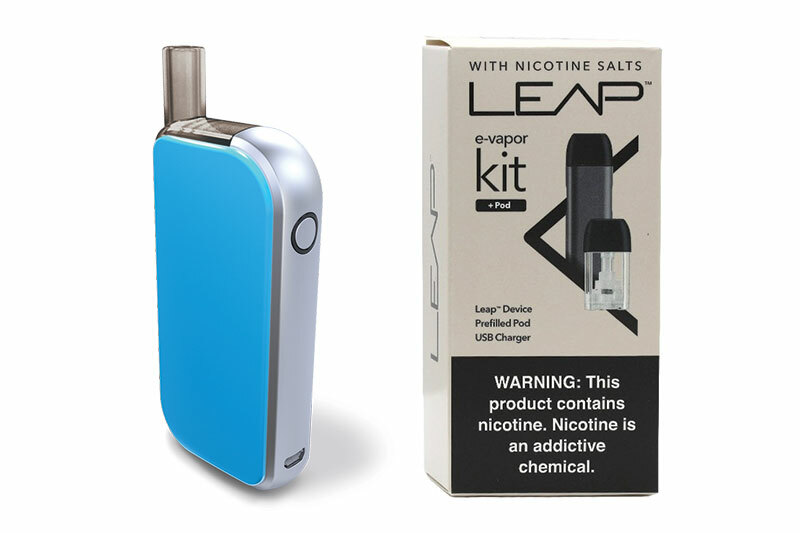 For example, EAS is the only company that offers different levels of nicotine, including a zero [nicotine option], for all its closed-system flavors for both Cue and Leap. What products will you be featuring at the 2019 Tobacco Plus Expo (TPE)? What differentiates them in the market? The only patented sub-ohm closed system in the U.S. market. It’s vaping made simple. 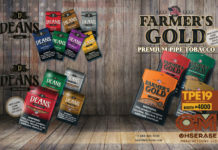 A large selection of tobacco and nontobacco flavors. Each flavor is offered in three nicotine levels, including zero nicotine. Double the liquid in each pod than the leading competitor. Double the battery size of the leading competitor. Large selection of tobacco and nontobacco flavors. The only nicotine salt brand that offers both a rechargeable and a disposable option. All EAS products come with our 100 percent product guarantee. As a sister company to Swisher, EAS has always prioritized product quality as well as consumer and customer satisfaction. If, for any reason, a customer is not satisfied or if a new regulatory mandate requires a different product assortment, EAS will take the products in question back. No questions asked. How do you work with retailers to merchandise the category and your brands specifically? What advice would you give to retailers to make the most of the category’s profit potential? We focus not only on selling in but also on helping our partners sell out. EAS deploys a full set of category management, shelf management, merchandising, compliance and promotional tools, and experts. We work with our retail partners to put together the right education materials and in-store advertising, and to make sure that products comply with the latest state and federal regulations. Unlike some of our competitors that consider retailers as simple distributors of products and blame them when it comes to youth access, we support retailers in their efforts to educate consumers and ensure youth aren’t purchasing vapor products. Their role is critical to ensure that only adults can access vapor products and that adult smokers receive the correct education and customer service regarding vapor alternatives. How do you ensure product quality and consistency? All of our products are rigorously tested. In the unfortunate circumstance where the consumer is not satisfied with a product, we take it back. No questions asked. All our products are 100 percent guaranteed. How concerned are you about the recent actions taken by the U.S. Food and Drug Administration (FDA)? How do you see regulation/efforts to reduce youth vaping altering the competitive landscape? While we support FDA Commissioner Scott Gottlieb’s overarching goal of limiting the exposure of youth to vapor products, we respectfully disagree with the specific measures proposed by the FDA. 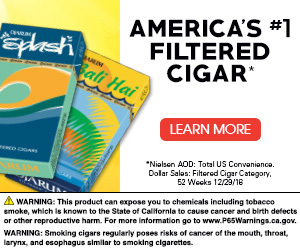 More specifically, EAS believes that the FDA has not conducted a complete assessment of the net public health benefit of vapor products and that its planned path forward to limit where flavored vapor products may be purchased will ultimately harm smokers seeking to quit smoking combustible cigarettes. Our own survey of 2,500 Cue users shows adult smokers turn to vapor products as a means of reducing or ending their cigarette use, and they are more successful when nontobacco flavor options are available. We documented our conclusions more specifically in our response to the FDA’s Advance Notice of Proposed Rulemaking on flavors, which does not appear to have been considered yet by the FDA. What else is it important for your customers to know about your company and your brand family? EAS is a family-owned company that prides itself on being a smart, informed and ethical partner to all our stakeholders. We understand and embrace our responsibility to position ourselves and the entire category for sustained, ethical growth—and ensure adult smokers continue to have alternatives they can trust from a company dedicated to a world beyond smoking. We communicate with our retail and industry partners regularly and proactively about such regulatory possibilities—and we view it as our responsibility to help prepare our partners in this respect. For more information on Tobacco Plus Expo (TPE) 2019 or to register to attend, visit tobaccoplusexpo.com. 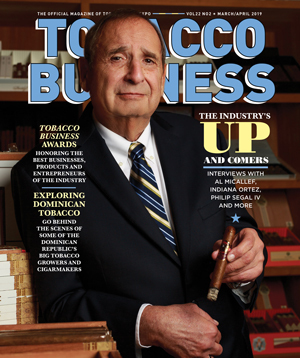 – Story Jennifer Gelfand, editor-in-chief of Tobacco Business Magazine.